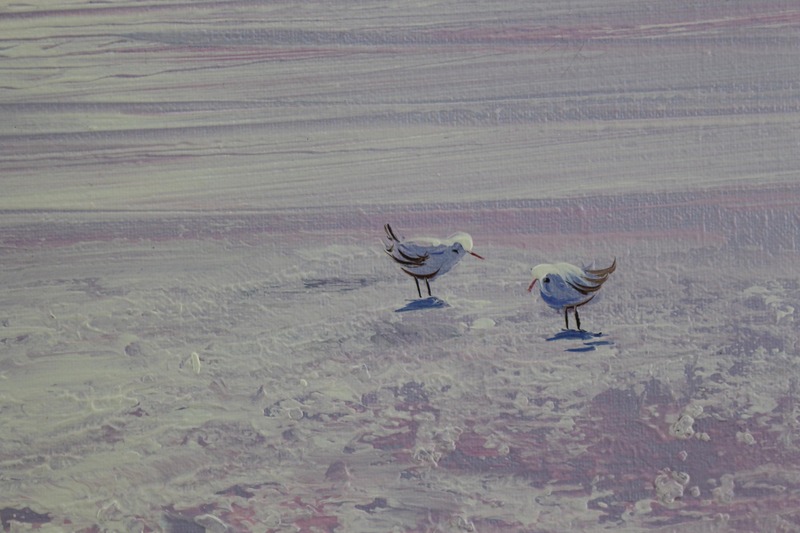 Great piece of original art that will sell because of the color and the subject. 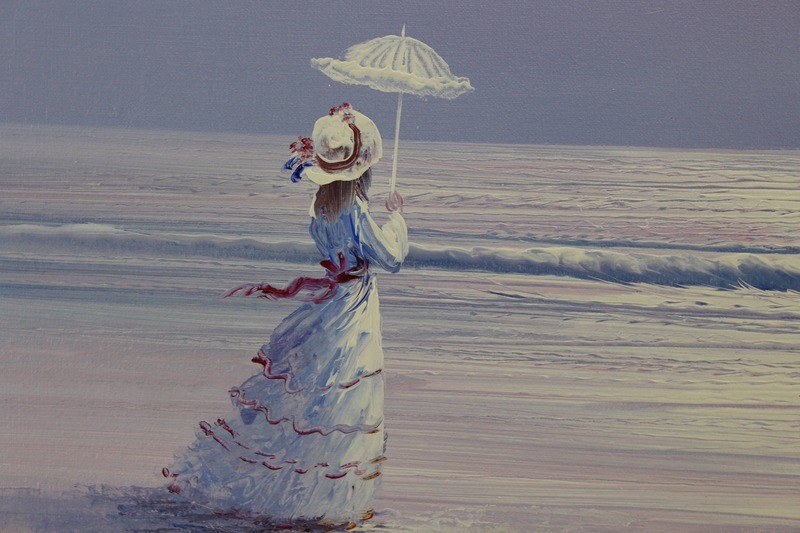 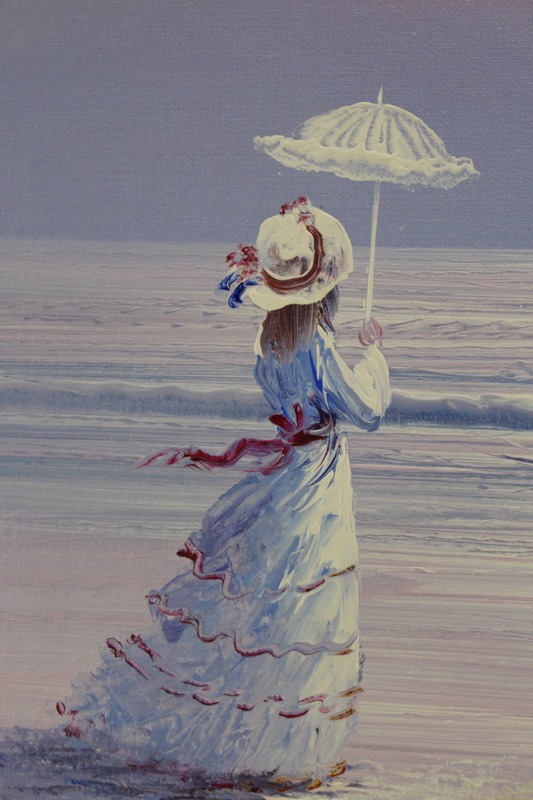 Soft tranquil scene of a victorian woman with a parasol on a beautiful stretch of beach you can hear the ocean gently rolling in if you listen. 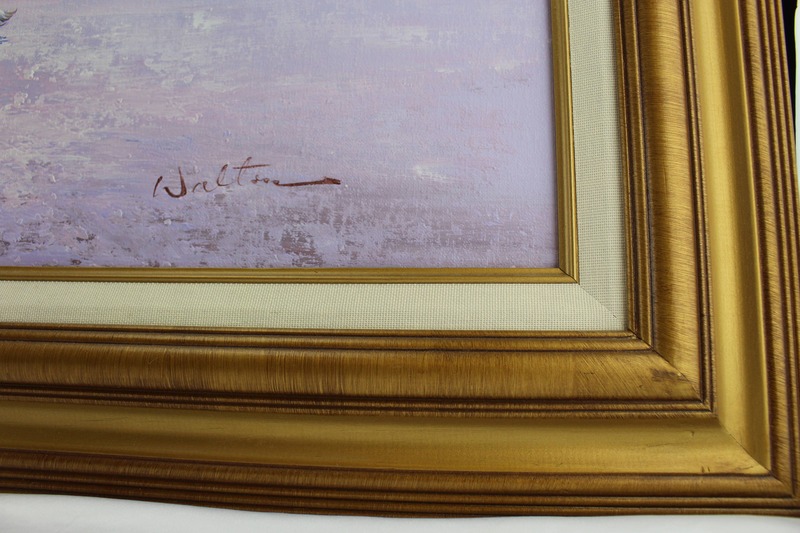 Signed Walton looks like to me in a large very nice frame in perfect condition clean and ready for your home. 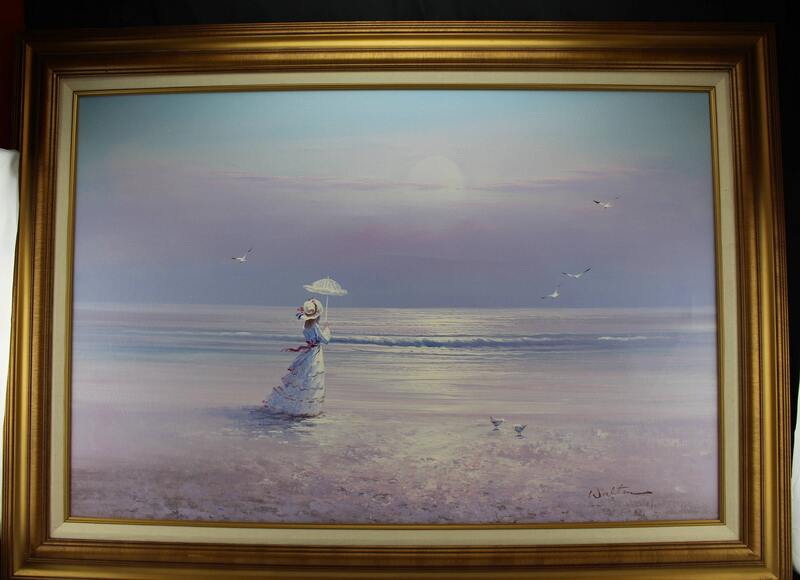 44" x 34 ": framed 36" x 24" painting.